RUTH QUINTON MUIR was born on August 2, 1927 in Cardston, Alberta. She passed away on January 25, 2019 at the age of 91 from heart and respiratory complications, surrounded by her loving family. Her life was well-lived and one we wish to honor and pay tribute to. Ruth grew up in Cardston, as the fifth of the seven children of James Dunford and Attena Bernice Woolf Quinton. As she grew, she enjoyed camping at Belly River Flats with her family, swimming in the creek at “Quinton Hole”, ice skating and playing games such as ‘run-sheep-run’, ‘kick the can’ and softball. She also developed a great love for dancing. Ruth was called to serve a mission for the Church of Jesus Christ of Latter Day Saints at the age of 23. She served in Toronto, Ottawa, and Montreal. After returning home, she worked for banks in Edmonton AB, Anaheim CA and Mesa AZ before ending up in Hollywood CA where she met a newly-baptized church member, and former Marine, Don Muir. They were married in the Cardston, Alberta Temple on December 21, 1961. Lisa, their first daughter, was born April 4, 1963. Jeffrey was born September 19, 1965. Julie was born on Ruth’s 40th birthday, August 2, 1967. A few years later, Don’s kidneys started shutting down, so Ruth learned how to run a dialysis machine and expertly handled his dialysis treatments in their basement for three years. When a kidney became available in 1972 they went to SLC for the transplant. Sadly it did not work, and he died May 11, 1973. In the following years, Ruth focused on taking trips and helping her kids have the kinds of fun they had missed while Don was ill. They enjoyed time in Disneyland, Penticton B.C., and Fairmont Hot Springs. In 1978, Ruth and her kids moved to Cardston to be closer to the Quinton cousins. Some of her interests at this period included sewing and playing a sometimes-feisty game of Rook with friends and family. Ruth was an active and involved mother and befriended her children’s friends as well. She had an independent spirit and was fiercely loyal to the friends developed throughout her life. After her adult children were all settled in Utah, Ruth became a ‘snow bird’, living in Cardston for the summers and Utah for the winters. Eventually, she made her home in St. George fulltime and became an avid Jazz Basketball fan . Ruth served as an ordinance worker for the Cardston and St. George temples, was a service missionary, and worked at the family history center. Anyone guessing her age at this period of her life would likely be under by fifteen years because of her active mind, energetic personality, and youthful looks. She befriended people, developed a generous interest in others and in serving. Known for her ‘bluntness’, Grandma Ruth would call things the way she saw them and inspired those she met to be better people. She is preceded in death by her husband Don; her siblings Thyra, Dean, Reid, Orilla; her daughter, Lisa; and her grandson, Quinton. Mourning her absence will be her children: Jeffrey and Lori Muir, and Julie and Troy Baldwin. Also her grandchildren: Diana Baldwin; DJ (Taylor) Mein; Ellen (Logan) Vincent; Annie Mein (Richard Murie); Madeline (Sam) Curtis; Sam Baldwin; Kira Muir; Jacey Muir; and great-grandson Julian Murie. Saturday, February 2nd from 11:00-12:00 p.m. Interment to follow in the Cardston Cemetery. Condolences may be sent by CLICKING HERE. 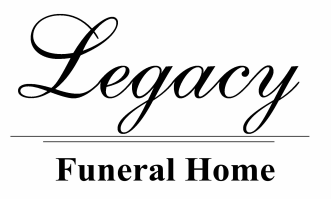 LEGACY FUNERAL HOMES LTD., CARDSTON Assisting the Family. Phone 403-653-3222.